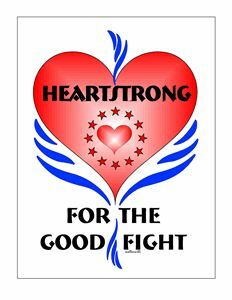 Heartstrong for the Good Fight is a spiritually-based social activist theme for these times: speaking up boldly for our democracy, our people, our land. 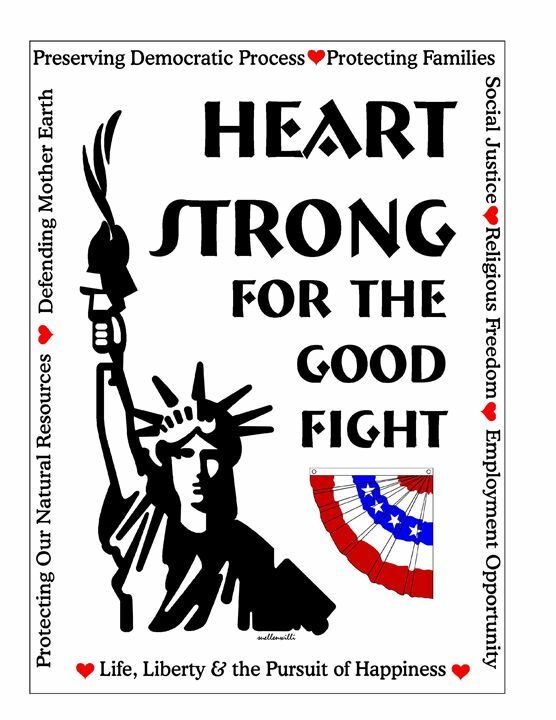 I have designed these posters for inspiration to carry on the Good Fight for our families, our communities and our country. 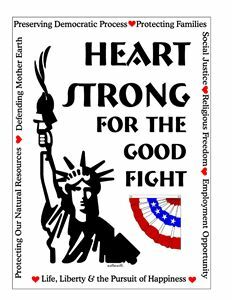 As a counselor, mother, wife and citizen I am dedicated to the core values that make our democracy great.